The International Society of Nurses in Cancer Care (ISNCC), founded in 1984, is an international federation of National Cancer Nursing Societies. Globally ISNCC represents nurses from 80 countries. 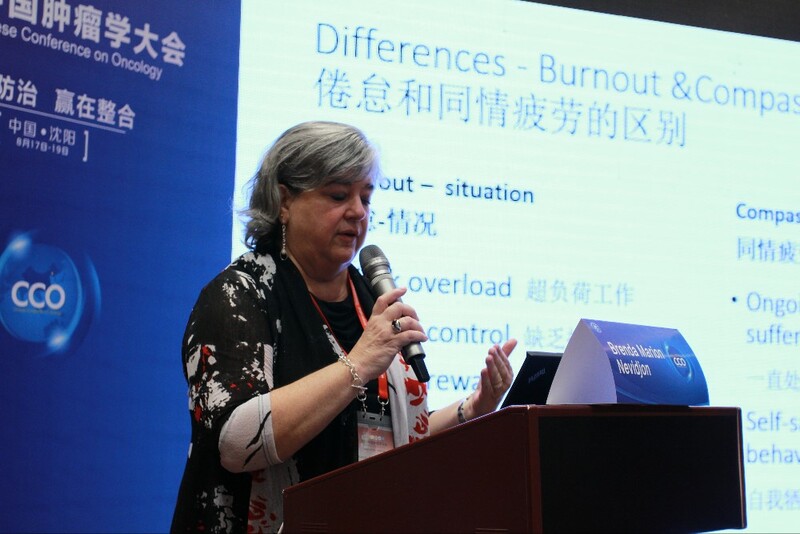 ISNCC’s mission is to lead the global community to reduce the burden of cancer and that nurses worldwide are vital and central leaders in cancer care and control. As an international society the ISNCC will develop and engage nurse leaders and influence global health policy. With our global mission the ISNCC is pleased to announce its new Global Citizen Program. ISNCC has recently launched the Global Citizen program at the International Conference on Cancer Nursing (ICCN) 2018 in Auckland, New Zealand. The program recognizes nurses or other professionals, whether or not they are members of their national society, who wish to support the ethos, objectives, strategy and philanthropic goals of the ISNCC. The program provides various contribution options and benefits to the global community. How do I become an ISNCC Global Citizen and support ISNCC to achieve its Mission? You can now become an ISNCC Global Citizens! The ISNCC has established a tiered annual contribution structure to allow you to contribute according to your circumstances and preference. The funds raised through the Global Citizen contributions are used to support ISNCC’s work, including contributions to Scholarships and Organizational Memberships for low resource countries. Affecting by the disparity of global economic development, the imbalanced distribution of cancer nursing education resources is a fact. There are insufficient cancer textbooks in low and middle-income countries. 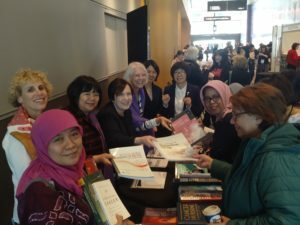 Based on the achievements of the 1st book donation activity, the 2nd book donation activity aims to provide texts to nurses in low and middle-income countries who do not have adequate access to new/relatively new cancer nursing materials. Recorded the information of book donators and recipients on the book donation information form. This 2nd book donation activity was greatly supported by all the ISNCC members and participants of ICCN 2018 with 56 textbooks in English and 15 textbooks in Chinese donated to nurses from underdeveloped areas, e.g. Kenya,Tonga, Uganda,South Africa , Zambia, Brazil, Nepal,Ghana,India, Indonesia, western region of China. The contents of books covered: Clinical Guidelines for Cancer Care, Evidence-based Cancer Care, Cancer Palliative Care Handbook, Vascular Access Devices Guidelines for Cancer, Cancer Targeted Medicine Care, Quality Control of Cancer Care, etc. Traced the influence of book donation and invited some of the recipients to write blogs regarding their feelings and thoughts towards this activity. Promote the sharing of educational resources. Advance the development of cancer care in underdeveloped areas. Enhance the internal and external communication of ISNCC. Dedicate love to cancer nurses in need globally. 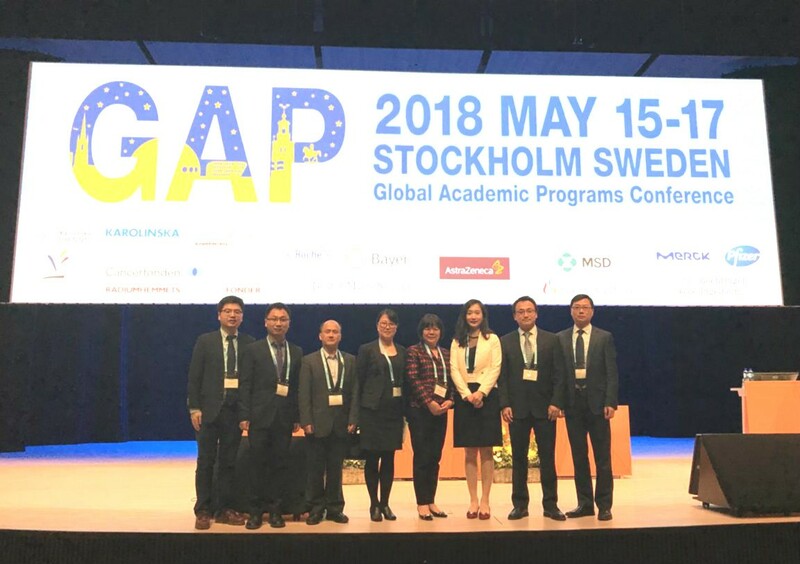 As the vice president of Hunan Cancer Hospital (HCH), I feel truly honored to attend the Global Academic Programs (GAP) Conference at Stockholm, Sweden from 15-17 May, 2018. HCH is the 31st Sister institution of MD Anderson Cancer Center (MDACC) worldwide, the 5th in mainland China. MDACC and HCH have conducted in-depth cooperation in training medical personnel, transferring international treatment, disseminating medical techniques, sharing medical solutions, etc. 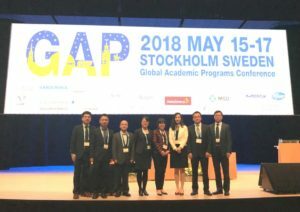 The GAP Conference this year is held by Karolinska Institutet and Karolinska University Hospital in Stockholm. The institute is famous for the Nobel Committee for annual assessment and award of Nobel Prize in physiology or medicine. The theme of GAP Conference 2018 is “Global efforts fighting cancer”. With the joint goal, the annual GAP Conference offers a platform for faculties from MDACC and its Sister institutions to work collaboratively. Experts and scholars form 38 Sister institutions all over the world attended the conference to discuss the progress on cancer treatment and care. The fundamental research, epidemiology, treatment status and progress of oncology were included and deeply analyzed. The experts put forward a series of methods and measures to improve the diagnosis and treatment of cancer. The participants really get great inspirations. There were over 600 abstract submissions, 16 simultaneous sessions, 155 oral presentations at the conference. Among them, 7 oral presentations and over 20 poster presentations from HCH ware accepted. I delivered an oral presentation “Life satisfaction of cancer patients: what contributes to a better satisfaction with life” at the Nursing Program. 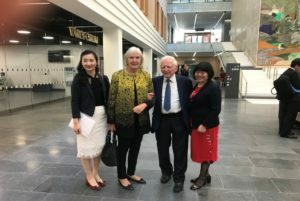 Our academic reports were acclaimed by other colleagues from all over the world, which laid a solid cooperative foundation for scientific research. 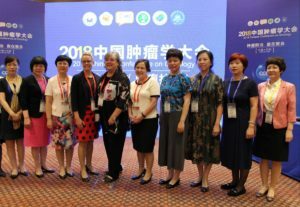 China Cancer Society Cancer Conference was held from August 17-20, 2018 in Shenyang, Liaoning. 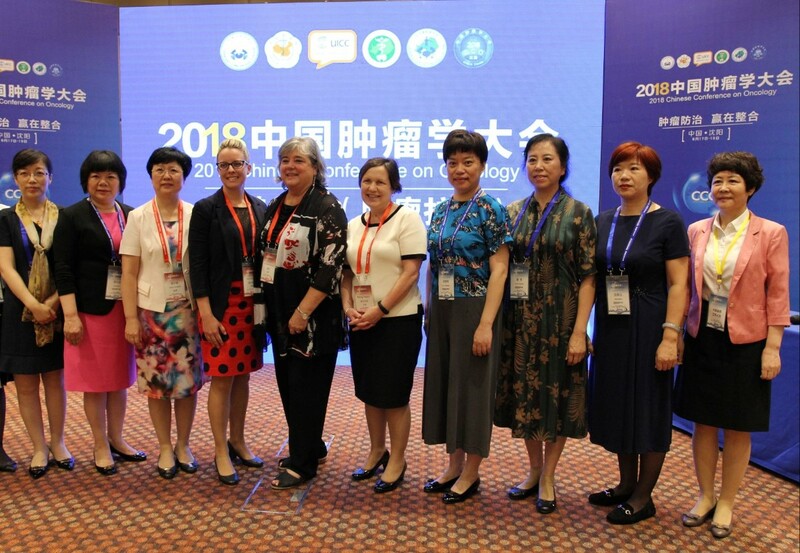 President of the International Association of Oncology Care, Professor Patsy Yates of the Department of Nursing, Queensland University of Technology, Australia, brought a greeting from the International Association of Cancer Care Nurses to Chinese nurses. At the same time, she put forward the important point of the current status of pulse oncology care: nurses should carry out role transformation and provide personalized cancer treatments. Today’s cancer treatment is becoming more and more precise, and the development of technology provides a new approach to care, and nurses play a key role in ensuring the best outcomes and experiences of patients. Nurses should understand the impact of the experiences on patients, customize interventions for patients, and support patients’ self-management. 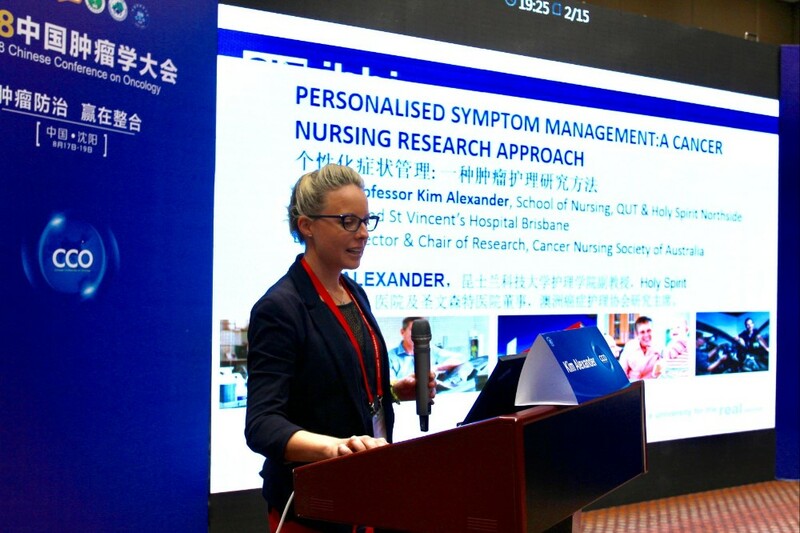 Then, Professor Kim Alexander of the Department of Nursing at the Queensland University of Technology in Australia gave a detailed explanation of this point, detailing the new approach to cancer care research – personalized symptom care. He exemplified “new measures on understanding experiences” and “new measures on test interventions”. New measures to opening a new way of thinking about cancer care. Bring together wisdom thinking, stimulate innovation vitality, enhance the connotation of disciplines, and improve the level of discipline construction. Professor Brenda Marion Nevidjon, CEO of the American Society of Cancer Nursing, conducted an exchange on the study of the tolerant behavior of cancer nurses. The professor took the rapid changes in the cancer care industry as an entry point to deeply analyze the psychological state of cancer nurses, from three aspects: thought, behavior, and performance. Provide guidance to nurses working on cancer: strengthen self-cultivation, improve work resilience, and serve human health. 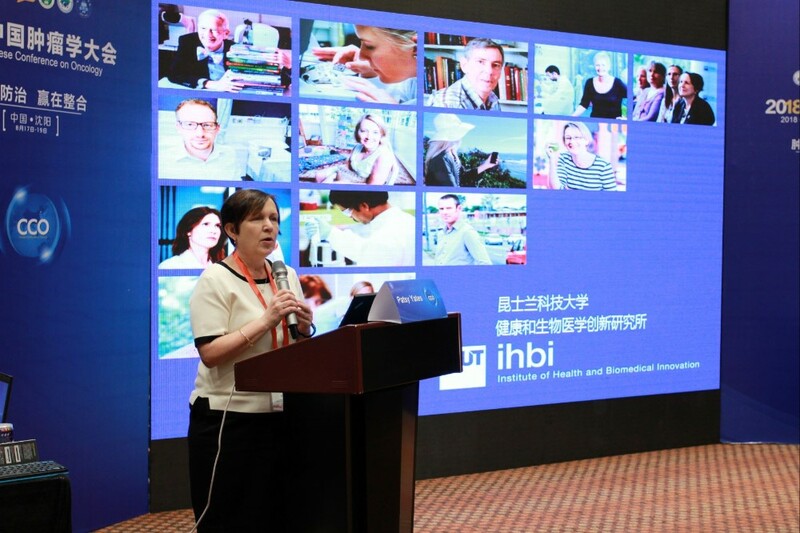 Professor Anne Fitzgerald and Prof. Margaret Hjorth from ICON Medical Group of Australia shared the Australian cancer care model with participants from the three aspects of cancer patient assessment and program development, oncology nursing professional ability training and safety skills training. 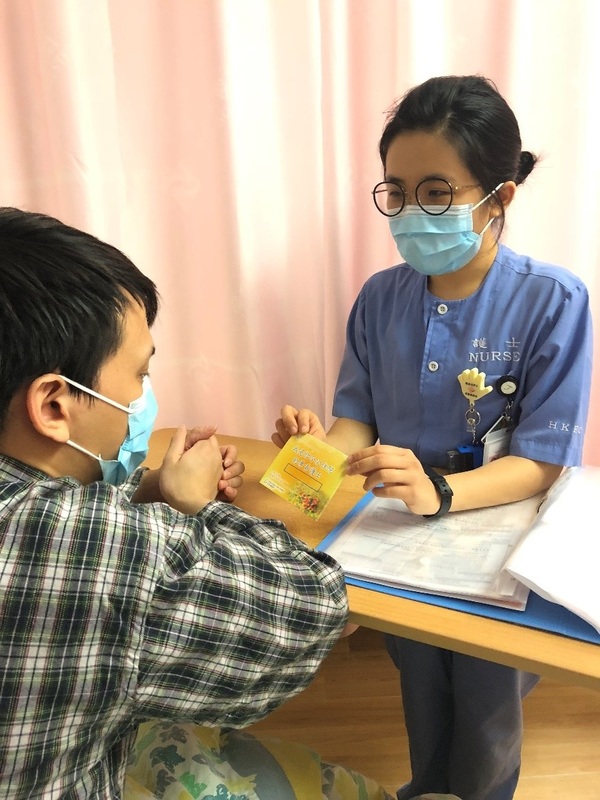 Through learning exchanges, Chinese oncology nurses have been enlightened to learn advanced cancer care knowledge and technology to improve the level of cancer care.